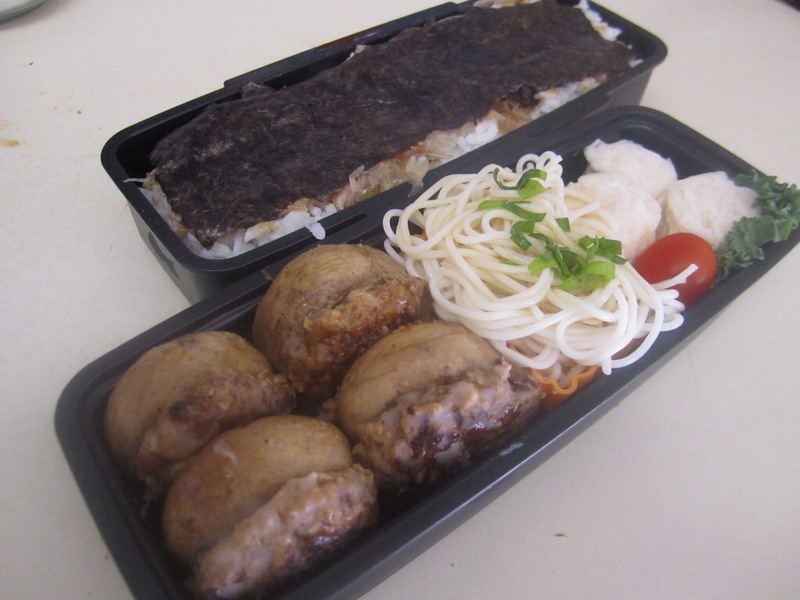 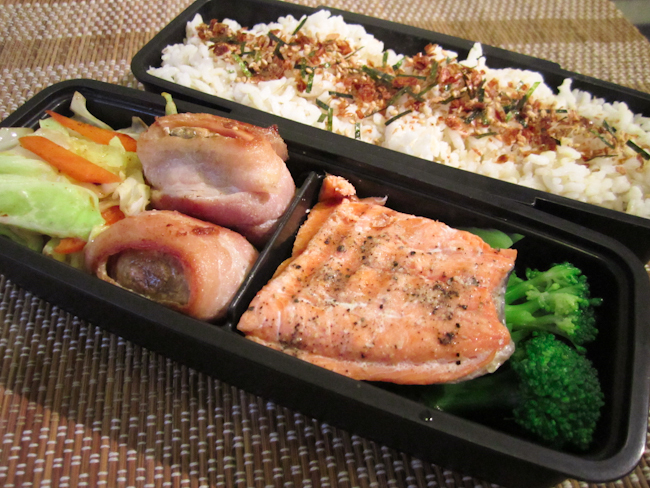 Haven’t done one of these in a while… Hubby’s bento: stuffed mushrooms, somen, frozen shumai, nori katsuobushi on rice. 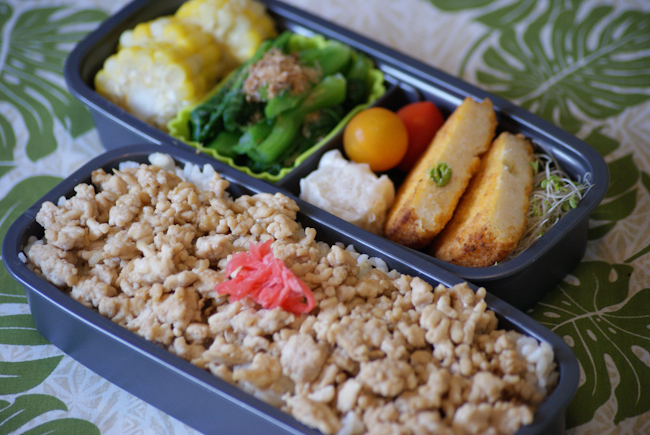 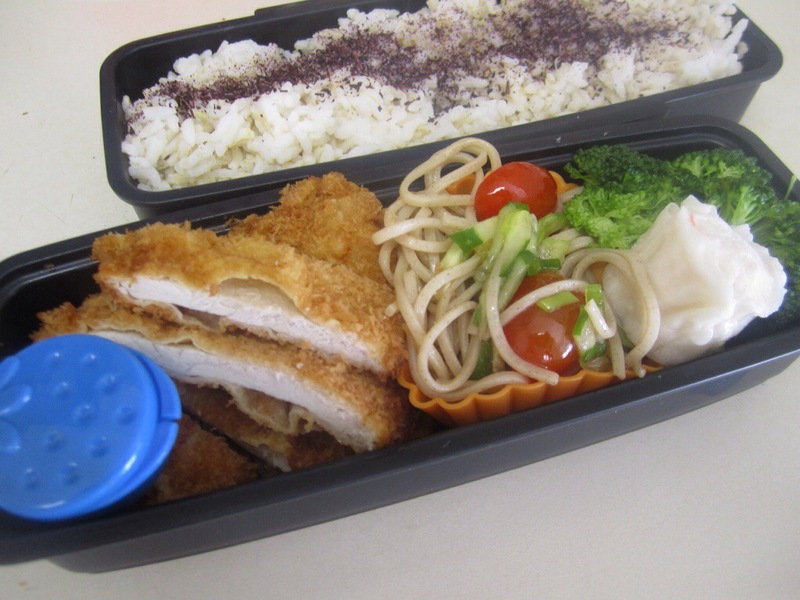 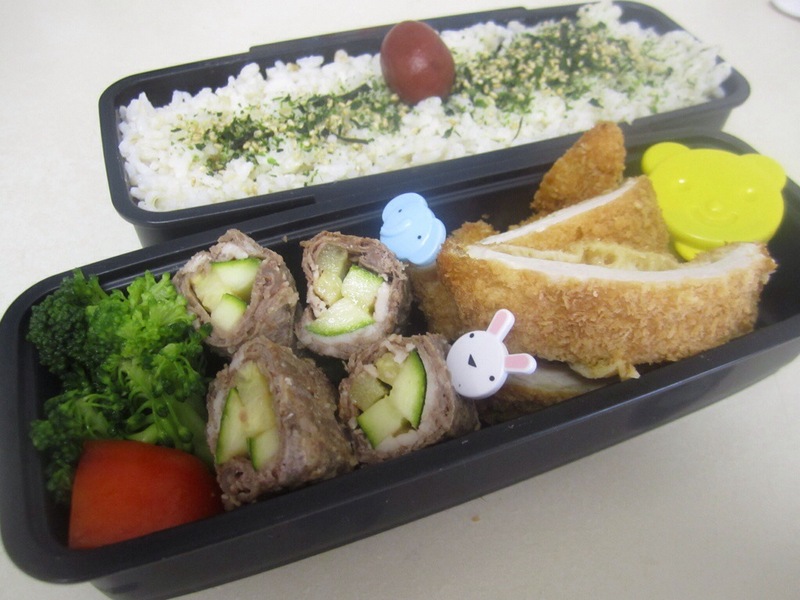 Hubby’s bento today: 鶏そぼろ torisoboro (seasoned ground chicken)over rice, croquette & shumai, choi sum, corn. 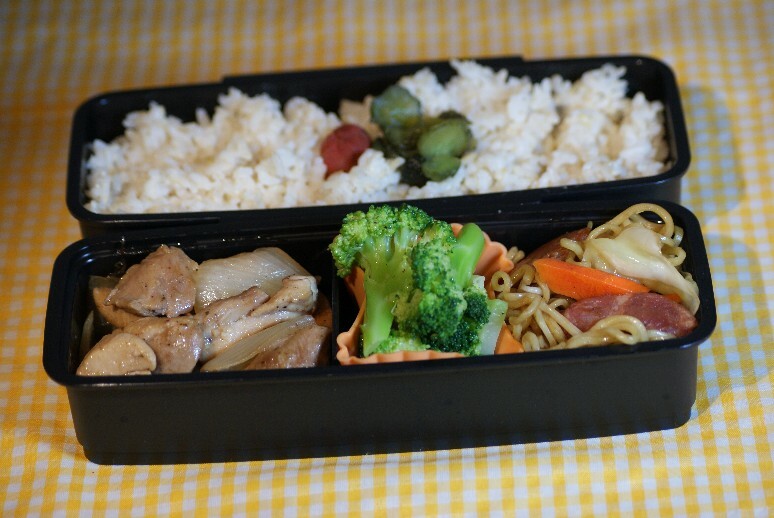 Teriyaki chicken with onion, broccoli, yakisoba. 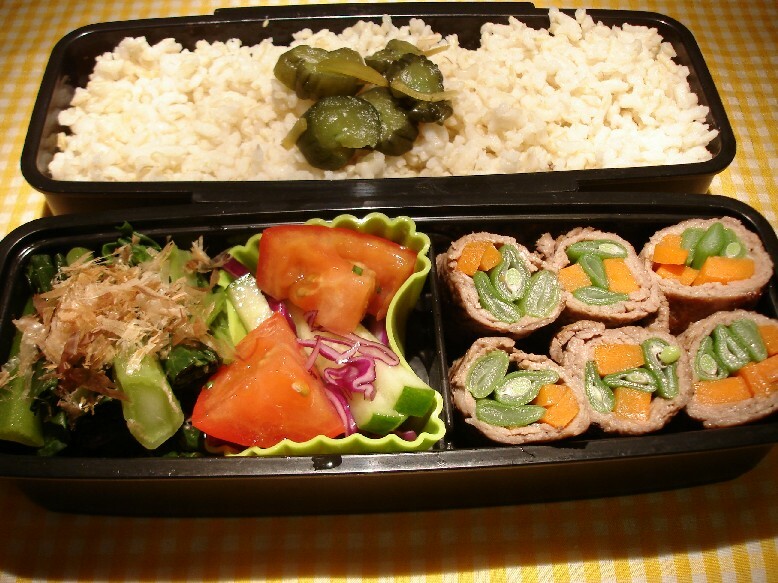 Hubby’s bento: beef-wrapped veggies, tomato salad, gailan ohitashi.